Those who have visited our Café will know about our delightful nachos! We serve them with a side of our chocolate spread for dipping. We got to visit Santa Anna’s, our nacho chip suppliers, and have a chat about what they do. Santa Anna’s started 4 years ago after the owners, Frik and Piet, visited Mexico and fell in love with their authentic corn dishes. When they returned to South Africa, they began making masa, tortillas and corn chips by hand before the company grew to what it is today. Being chefs by trade, they have a focus on detail and flavour which they bring to the food manufacturing industry. Santa Anna’s produces organic, GMO free verified chips. Their company ethos is one of sustainability and supporting ethical farming practises and they take this very seriously. The corn they use is grown under contract on the farm Lowerland in Prieska (Northern Cape). The wonderful thing about Prieska is that only 10% of the corn grown there is genetically modified. This, coupled with the fact that cornfields are far apart and under pivot irrigation, makes it ideal for organic maize farming. Each harvest of corn is tested for GMO contamination and rejected if standards are not met. The tortilla equipment is imported from Mexico and their production kitchen goes through 200 kilograms of corn per day! The process is called Nixtamalization; the practice has not changed in 2000 years, since the time of the Aztecs. Dried maize is soaked in a large pot at 80°C for 12 hours in a lime solution. This softens the protein structure in the corn to make more nutrients bio-available. 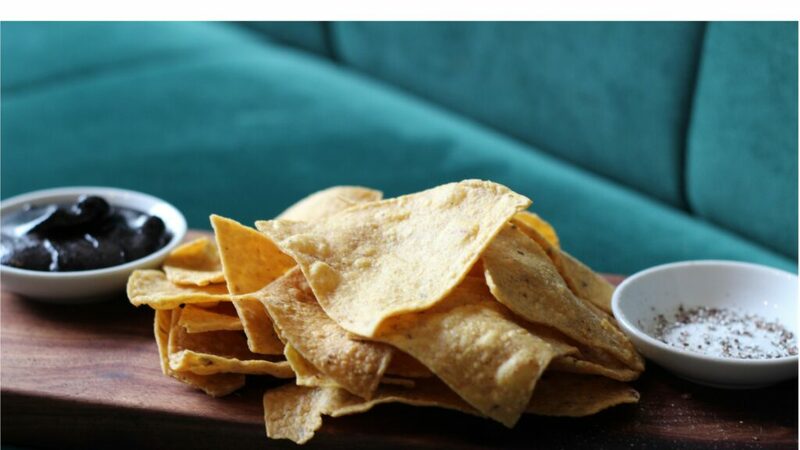 The corn is then washed, ground on a volcanic stone grinder into masa (dough), pressed into tortillas, and fried in coconut oil for corn chips. Mechanisation is kept to a minimum; with 14 employees the company is still small, but staff work two shifts (morning and evening) to ensure production is high. Santa Anna’s tortillas and corn chips are available at selected retailers across the country. Santa Anna’s also makes custom barbecue smokers and operates as a catering company. 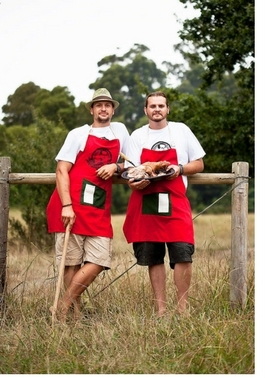 Visit their website for more information www.santaannas.co.za.